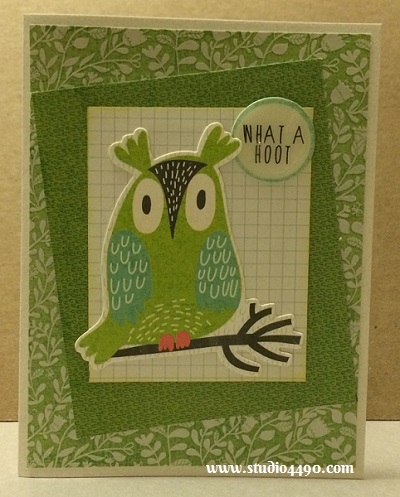 Turns out creating with pre-printed die cuts is super fun and I found myself in the zone creating a number of cards. Will keep the chitter chatter to a minimum as I have five cards to show today. 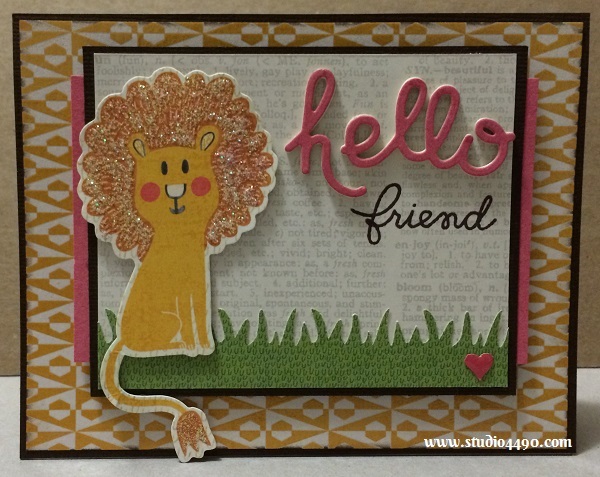 Materials used: Die Cuts – Hello Sunshine (KAISERCraft); Designer Paper – 6-1/2″ Paper Pad – Hello Sunshine (KAISERCraft); Cardstock (Unknown); Distress Ink and Glossy Accents (Ranger). 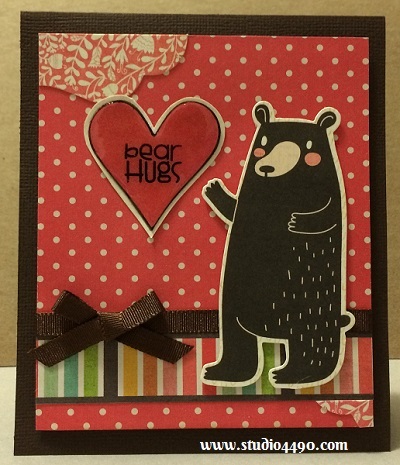 Materials used: Stamps – Chit Chat, Warm Hearts (Paper Smooches); Alphabeans – Fig Brown (Jillibean Soup); Die Cuts – Hello Sunshine (KAISERCraft); Designer Paper – 6-1/2″ Paper Pad – Hello Sunshine (KAISERCraft), Paper from Simple Stories; Cardstock (American Crafts) and Stickles – Crystal (Ranger). 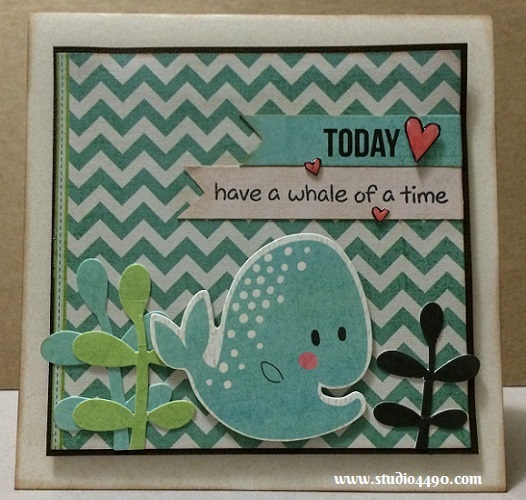 Materials used: Stamps – Critters in the Sea (Lawn Fawn); Die Cuts – Hello Sunshine (KAISERCraft); Designer Paper – 6-1/2″ Paper Pad – Hello Sunshine (KAISERCraft); Cardstock (American Crafts); Distress Ink and Glossy Accents (Ranger). Materials used: Stamps – Chubby Chum Pals (Paper Smooches); Die Cuts – Hello Sunshine (KAISERCraft); Designer Paper – 6-1/2″ Paper Pad – Hello Sunshine (KAISERCraft); Cardstock (American Crafts); Glossy Accents (Ranger); Template – Sweethearts (Pagerz Templates); Mister Huey’s Mist (Studio Calico) and Ribbon (American Crafts). Materials used: Stamps – Chit Chat, Warm Hearts (Paper Smooches); Dies – Hello Words (Paper Smooches); Die Cuts – Hello Sunshine (KAISERCraft); Designer Paper – 6-1/2″ Paper Pad – Hello Sunshine (KAISERCraft), Paper from Simple Stories; Cardstock (American Crafts); Mister Huey’s Colour Mist (Studio Calico); Stickles – Crystal (Ranger) and Glossy Accents (Ranger). And there they all are. There would have been another one but I haven’t quite finished it and now as I sit here looking at it, I have decided to change it. 🙂 I think it’s worth noting that all of these cards are primarily made with one pack of the Collectables – Hello Sunshine and one 6-1/2″ Paper Pad – Hello Sunshine. I still have a lot of the die cuts leftover and a bit of the patterned paper too (although I’ve used up most of the full sheets of my favourite designs/colours in the pad, I do still have lots of little off cuts which can be used for borders, etc). It was a fun and productive creative session! I hope you all experience the same the next time you sit down to play. Love, love, LOVE these! They feel like a complete set and they would make such a perfect gift for someone. 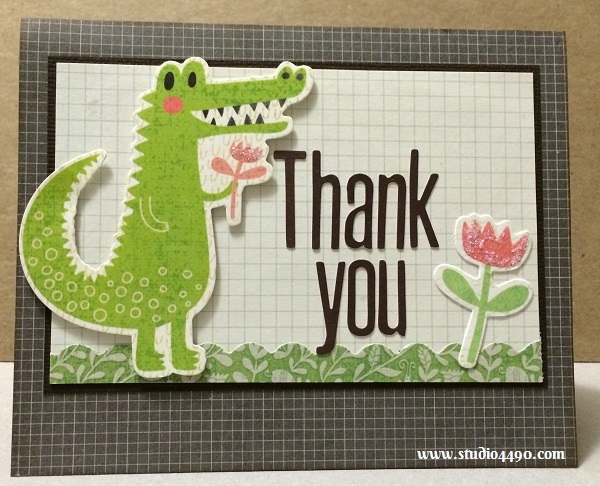 I am totally going to steal this diecut idea of yours and make a set of cards for a friend. I’ve actually got a huge amount of diecuts – all collected before I got a BigShot for Christmas. And I’ve been on the lookout for some inspiration in how to use them up. This is it! This is perfect. Thank you, Elle, for such kind words and please accept my apologies for being so late in acknowledging them. Aren’t Big Shots great! I just got one for my birthday. I’ve been using a cuttlebug but it just opens up a few more options. I must come see what you’ve been up to – I bet you’ve been rocking your cards as per usual!! hugs!! C, I am soooo sorry I haven’t acknowledged this before today and that I haven’t been over to check in on you for ages!! Thank you for your sweet words as always. You know how to make a person feel good! hugs! !